Heart and blood vessel disease — also called heart disease — includes numerous problems, many of which are related to a process called atherosclerosis. This disease is a buildup of a sticky, fatty substance called “plaque” on the inner walls of your arteries. Plaque buildup limits the flow of blood. If a blood clot forms, it can stop the blood flow. This can cause a heart attack or stroke. 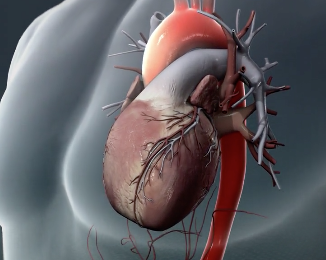 A heart attack occurs when the blood flow to a part of the heart is blocked by a blood clot. If this clot cuts off the blood flow completely, the part of the heart muscle supplied by that artery begins to die. Most people survive their first heart attack and return to their normal lives to enjoy many more years of productive activity. An ischemic stroke (the most common type) happens when a blood vessel that feeds the brain gets blocked, usually from a blood clot. A hemorrhagic stroke occurs when a blood vessel within the brain bursts. The most likely cause is uncontrolled hypertension (blood pressure). Ultimately stroke occurs when blood flow to a part of your brain is stopped. Without oxygen and nutrients from the blood, brain cells die quickly. A stroke can damage your brain. It can even kill you. This condition, also called “congestive heart failure,” is when your heart becomes so weak it can’t pump enough blood to meet your body’s needs. It doesn’t mean that your heart has stopped beating. But it’s a serious condition, and it needs medical care.